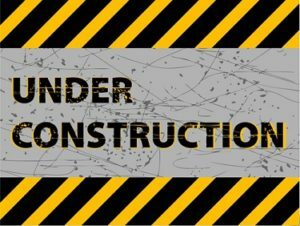 We're working hard to update our site with new information and to make it as easy to use as possible. We've changed how we list our products, because every client and their situation is unique, and we want to speak to each one of you personally. We want to ensure that the services and products you buy are customized to your needs. We've also started using MSRP pricing to build our offered systems, because prices are constantly changing. When we price parts for a system for you, any savings we obtain will be passed on to our customers. 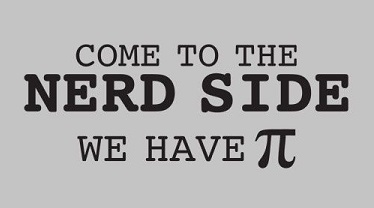 Nerd is in our blood. At Rent A Nerd Consulting, we take being nerds to a new level, be it our sales team, onsite and remote techs, all the way up to our founders, we are all nerds at our core. We are single minded in our pursuit of bringing the best products and services to our clients, and we love doing it. We are a computer, network, multimedia, and information systems consulting company whose main focus is to provide small to medium sized businesses, as well as private home owners, with quality systems planning, installation, and support services at reasonable rates. Our experienced, sociable, and professional staff look forward to providing you with the quality services you deserve. Good security is essential, whether you run a business or use your PC for daily tasks. We emphasize the importance of using proper safe and secure computing practices, which include using strong, complex passwords, a good firewall and anti-malware/anti-virus solution, and staying up to date with the latest security patches. Sometimes, however, seeing something for yourself makes it easier to understand than having someone explain it to you. 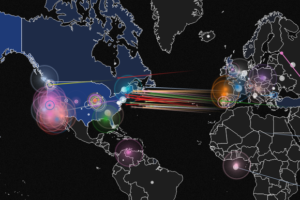 As an example of why we take security so seriously, we've included a link to Norse-Corp's Live Attack site, which gives a visual representation of just a fraction of the cyber attacks currently being attempted worldwide, in real-time. We've partnered with vendors to be able to offer quality parts and services at reasonable prices to our clients. The brands and services shown above are just a few examples of what we have available, and we can of course source any item locally, just as you would do. Our inventory of available items is continuously being updated, so feel free to ask us about particular products or services whether you see them here or not. *All product names, logos, and brands are property of their respective owners. All company, product and service names used in this website are for identification purposes only. We know there are no one-size-fits all solutions when it comes to electronics, networking, and computing, which is why we take the time to determine your specific needs, desired results, and available budget, to provide custom solutions for you. In most situations there are three primary solutions: Ideal, mid-range, and budget. Finding the right balance of cost and functionality/performance is as important to us as it is to you. Whether you run a small home office, run a mid-sized company, or are looking to add a home media server to your movie room, we will work diligently to provide efficient and effective management of your existing systems and assist in the integration of new products. We strive to provide superior customer service and satisfaction. We are a Veteran Owned and Operated business who support our service men and women. Discounts offered* for Military, Veterans, Police, Fire, and EMS service members, as well as education professionals. It doesn't matter if you're an enthusiast, a fellow nerd or IT Pro, or you just need some extra space for family photos, selecting the right hard drive is difficult. Manufacturers all list the details of their drives on their sites, most importantly their failure rates, but how well do those translate to real world wear and tear? 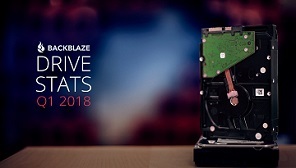 BackBlaze is an online data storage service that we've partnered with to offer managed remote backups and recovery to our clients. They post their quarterly data for the drives they use, including their failure rates. As they use consumer level drives in their systems, this makes them an excellent resource when choosing your next hard drive(s). Click here* to see the latest stats available, and take a look at our offerings and information for residential and business clients. Walk-throughs and Guides and Links! We're working on several walk-throughs and guides for many of the applications that we promote, as well as common tasks for home users. We have a page for links to the applications, as well as links for our guides on each page. Keep checking in on our Nerdy Tips and Tricks blog page to see what we've posted.